It’s easy to add natural, shredded chicken, wild-caught tuna, & shredded duck to you cat’s diet. Serve as a high-protein side dish, kibble enhancer, or snack – your cats will absolutely love it. Fuel their inner-athlete! Chicken, Chicken Broth, Tuna Broth, Yellowfin Tuna, Duck. 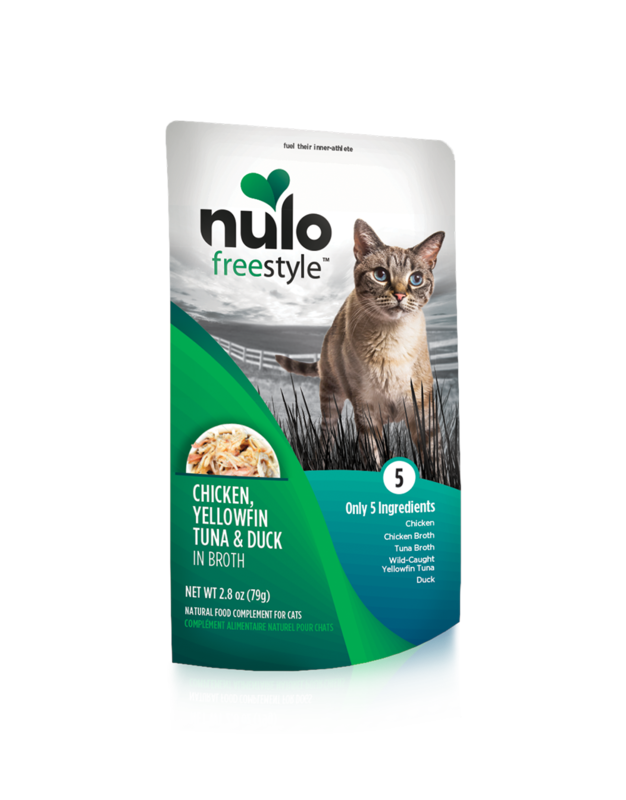 FreeStyle Cat & Kitten Chicken, Yellowfin Tuna & Duck in Broth Recipe are intended for intermittent or supplemental feeding only.